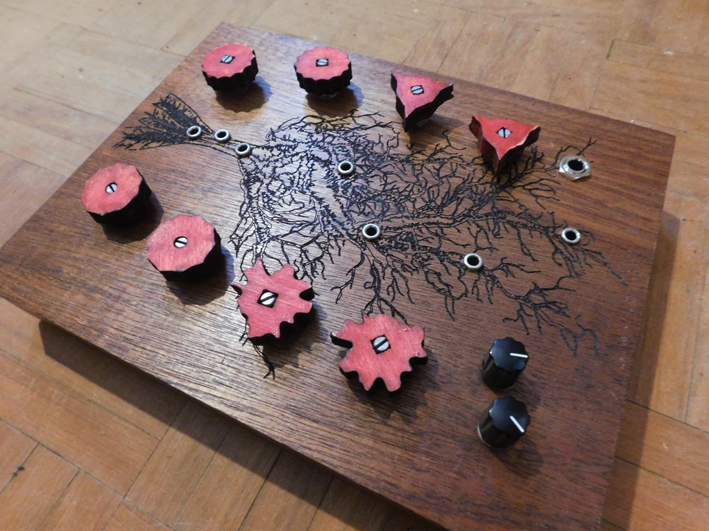 I've made this drone synth. 2x triangle wave osc's that go through an analog switch clocked at audio rate. 1 problem: after a while (30min or more) the sounds of the oscillators deteriorate. This happens sometimes. not with all builds. Yes. at least the INH input should be tied to ground, to not inhibit the switches. Or otherwise the pin might charge up slowly causing the circuit to not work, or work glitchy. But also the unused B and C switch control lines should be defined. In this case it does not matter, either to Vcc or Ground (as these control the unused switches, but could still mess things up when unconnected). Maybe a resistor from the connection between C14 C4 and R15 to GND might also help a bit as it is a connected to a pretty high impedance. NAND gates and attach that to it. You'd probably want to add a switch to choose between the output of that and GND though. 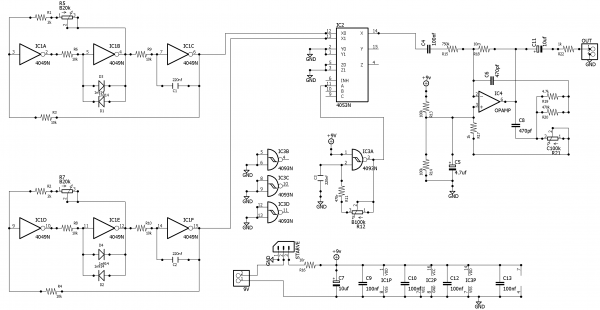 Maybe you can build a nice LFO for the WSG Filter..
As far as I understand it, the inhibit is a sort of on/off switch? I was wondering how I could make the WSG filter CV controllable. 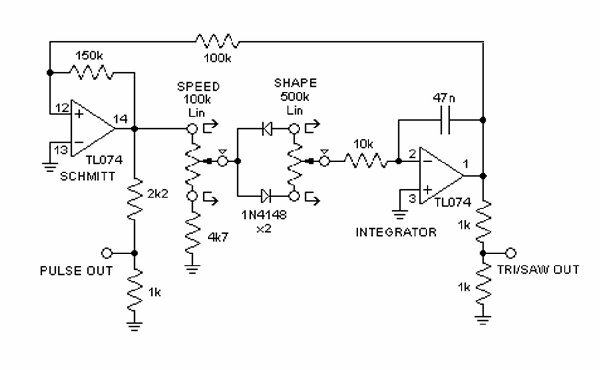 I've also thought about changing the oscillators to triangle outputs of the 4093 (with some amplification), because the 4049 OSC looses gain fast in higher frequencies. 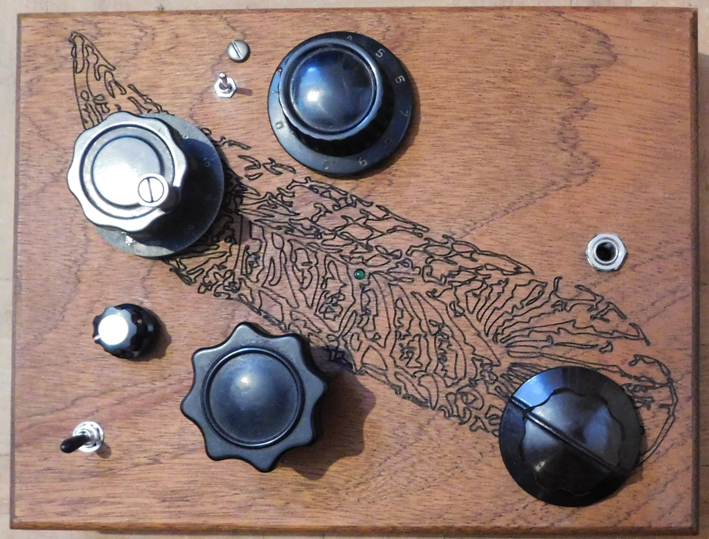 This one has multiturn pots for all oscillators, a range switch and a starve pot. Something like this should work just fine, without distorting the symmetry of the triangle too much. Raise the value of the 1k resistor at the emitter about a few hundred ohms if it distorts. I grounded the inhibit & input B & C. looks like that did the trick! -maybe another switch IC (like the DG419)? let's see how this will work out! I mention the DG419 because I had some problems with this circuit on +12v (eurorack) A friend of mine told me the cd4053 might not work on this voltage. Does anyone have more info on this? re. the12V issue - this should just work. The switch is specified up to 18V or so, the INH B C issue might have worked out there differently. I'm working on the eurorack version now. because I'm also not really happy with the cd40106 / cd4093 Triangle shape. It changes shape too much with lower frequencies. 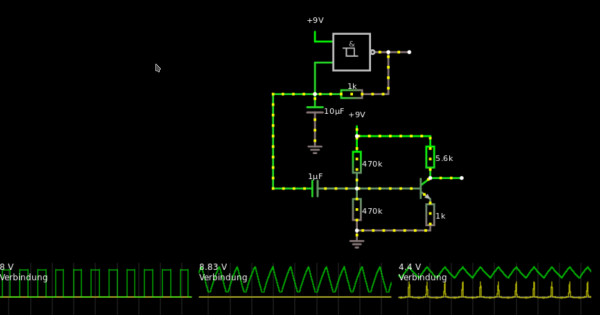 I've perfboarded a Saw VCO (a modified 40106 vco ,originally by synthmonger) which will be the alternative waveform. ps: here is the working update of the original circuit. I can't help with your question but I just had to say what awesome looking synths you've built! Why are the two resistors in parallel? I think that is a leftover from the adaption of the WSG filter I used. if I leave out the 4.7k , the resonance setting changes a bit. there used to be a 500k pot there. I've inserted a trimpot there now. to set the resonance. those 2 resistors were working, but not really. a small mistake.. thanks for pointing it out!